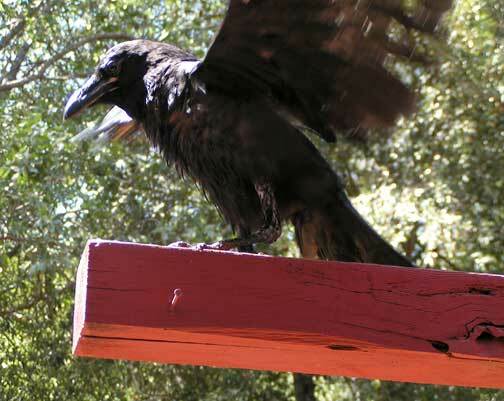 When the ravens first moved in I thought that they would drive most of the other birds away but the opposite happened. The bird population actually increased. There were more jays and flocks of finches and sparrows than other years. I though that perhaps when the ravens drove off the hawks they created a space for the smaller birds who began living under the umbrella of the ravens. 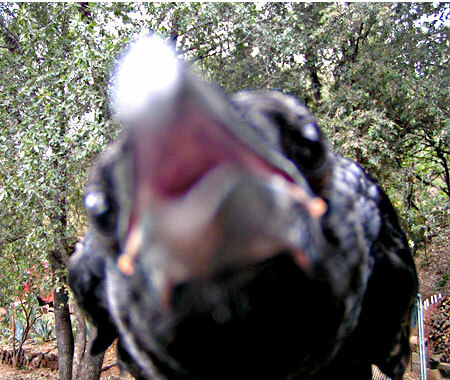 The only thing they had to watch out for was the ravens raiding their nests. 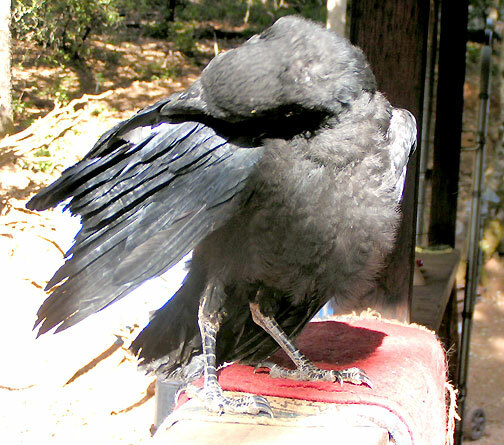 Ten days after Sammy fell out of the raven nest; the two remaining fledglings left the nest on their own. I saw them fifty feet up in the blue pines swinging precariously. What a rush! To make your first leap into the unknown. Sammy was getting on the move also but on a lower level. He began to investigate everything around the outside of the house. There was a lot of feather cleaning to remove the sheaths that enclosed his flight feathers. There were a lot of wing exercises to get strength in his flight muscles. Although it did not help that every time he was out in the open he was challenged by the male raven squawking and throwing pieces of bark and small sticks down from the branches. The male would get within seven feet of Sammy but he did not attack his offspring. Sammy cautiously avoided the adult bird as if some message was imprinted in his DNA. 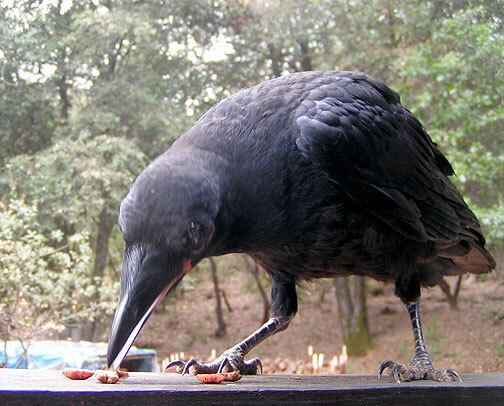 A ravens will eat other raven’s fledglings while feeding their own. 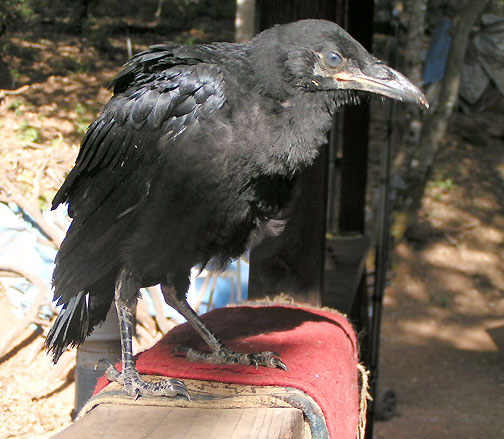 Posted on March 22, 2013, in Psi Keep Center for the Arts, Ravens and tagged raven; PsiKeep Center of the Arts. Bookmark the permalink. Leave a comment.